On Sept. 29, Dartmouth-affiliated start-up DoseOptics received $2 million in funding from the National Institutes of Health. DoseOptics has now received three grants from the NIH, totalling $3.4 million. The company, which has developed imaging technology to reduce errors during radiation therapy, can now proceed to clinical trials. Professor Brian Pogue and his lab originally developed the technology at the Thayer School of Engineering. About a year and a half ago, they founded DoseOptics to commercialize the technology. Up until now, there was no effective method for determining how well a radiation treatment works post-procedure. The technology developed by DoseOptics is based on a phenomenon called “Cherenkov emission,” which Pogue recognized as a potential method for evaluating what happens during radiation therapy. It works by using a camera to capture the light signal given off when high-energy radiation goes through water or tissue. After developing the technology for several years, Pogue began working at Dartmouth-Hitchcock Medical Center, where the first patient was visualized using this technology. 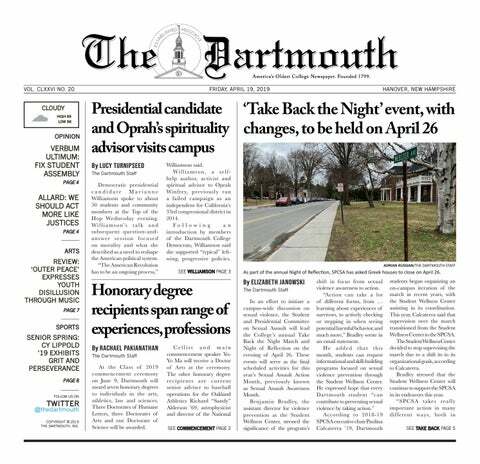 With help from DEN, which aims to cultivate entrepreneurship within the Dartmouth community, DoseOptics was able to structure an agreement with the Dartmouth Technology and Licensing Office and obtain office space at the Dartmouth Regional Technology Center in Lebanon. “There’s an interest in the federal government to support what they’re doing because hopefully the technology gets to see the light of day in the hands of users and impact people. The story here of DEN is one of moving ideas into impact,” he added. “What these funds will do is help us span that gap,” he said. As the company moves forward with clinical trials, Pogue describes a “multi-pronged approach at different key academic medical sites.” In December, a second camera will be added to the early prototype at DHMC. They plan to move forward with a formal clinical trial in January and install camera systems at the company’s partner sites, University of Pennsylvania and Washington University in St. Louis, where additional trials will be conducted. Pogue to sell research-based camera systems while working towards an FDA approval in the next one or two years. Approval can only be obtained after the first clinical trial. “There is no technology out there today that can do what we can do in terms of imaging radiation therapy,” he said.